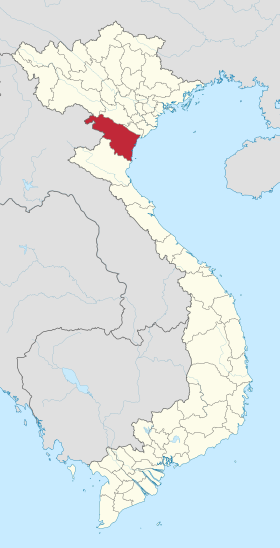 Binh Duong Province ! Vietnam Industrial Parks InfoGate ! Industrial Zones ! Export Processing Zones ! 30 km away from HCMC, Binh Duong once was a battlefield with historical place – names such as Phu Loi, Bau Bang, Ben Suc, Lai Khe, Nha Do and especially D War Zone of which center is Tan Uyen district, “Iron Triangle” Area with three villages named An like An Dien, An Tay and Phu An. Nowadays, Binh Duong is becoming a bright dot in Vietnam economic map on achievements of international economic integration and innovation; which are the outstanding results of foreign direct investment capital attraction. Being a red and grey soil land of planting coffee and rubber trees, Binh Duong has a lot of grasslands to breed cattle and to cultivate farm produces; a large number of alluvial plains, fields, famous fruit orchards about durians, mangosteens, rambutans, jackfruits…in Lai Thieu. Large rivers flow across province regions such as Dong Nai river, Sai Gon and Song Be rivers together with many canals, small rivers supplying water for plains and facilitating for motorized junks movement. The southern province of Binh Duong has set a target of attracting US$1.4 billion in foreign direct investment (FDI) in 2018, according to Tran Thanh Liem, Chairman of the provincial People’s Committee.